HOUSTON (KTRK) -- There will be a veterans job fair at Minute Maid Park at 11am on March 9 for veterans, transitioning military personnel, National Guard members, Reserve members and spouses. The event will feature more than 56 Houston-area exhibitors. Among the companies attending are DAV, Farmers Insurance, Amazon, Chevron Phillips Chemical, First Command Financial Planning, GardaWorld, Harris County Sheriff's Office, Houston Police Department, Quest Diagnostics, Schlumberger, The Houston Fire Department, The Kroger Company, U.S. Customs and Border Protection, Vinnell Arabia and Waste Management. 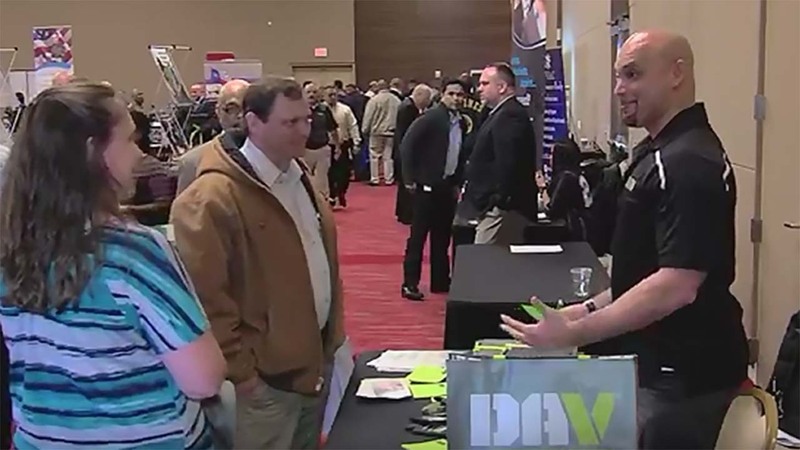 In 2016, the DAV RecruitMilitary Houston event connected more than 503 veteran job seekers with 52 exhibitors. Participating companies expected to conduct up to 338 interviews and make up to 107 job offers following that career fair.